On opening the packet there was a decent beefy smell with a light sting of horseradish that tickled my nose hairs in the tail of the smell. 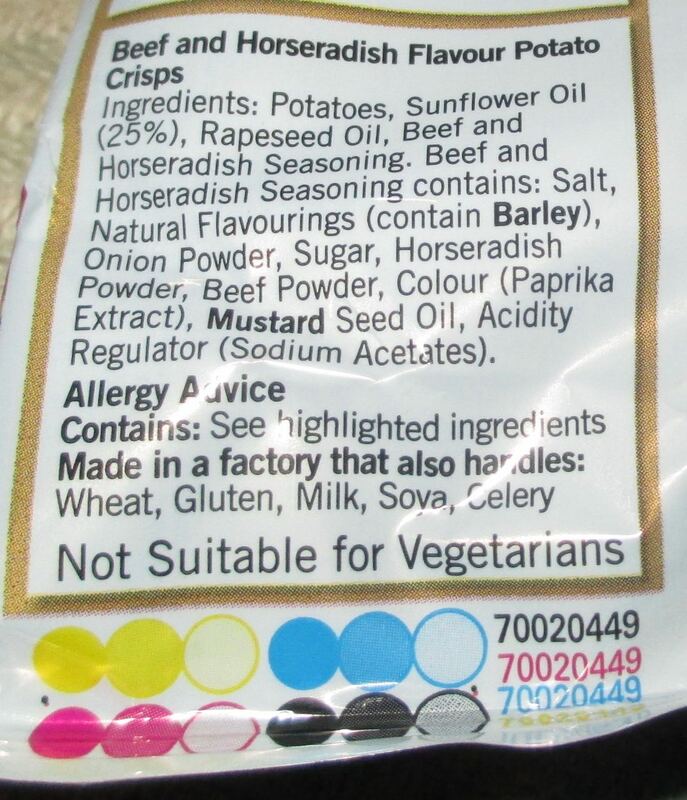 On taste these beef and horseradish crisps do exactly what they say on the front of the packet. There is an initial flavoursome beefy taste followed closely behind by a zing of horseradish. These crisps are not too nose tinglingly spicy to put off the daintiest of eaters, they have a mild yet noticeable heat from the horseradish that finishes off the flavour of each crisps very well indeed. They also complemented my sandwiches well, although I have a habit of putting way too much horseradish on my beef sandwiches in order to almost blow my head off with every bite. In fact I reckon the subtle flavours from these crisps would complement beer well. This Beefeater Edition is certainly a grand new flavour to the Walkers range that I’m sure will be a regular in many lunchboxes. 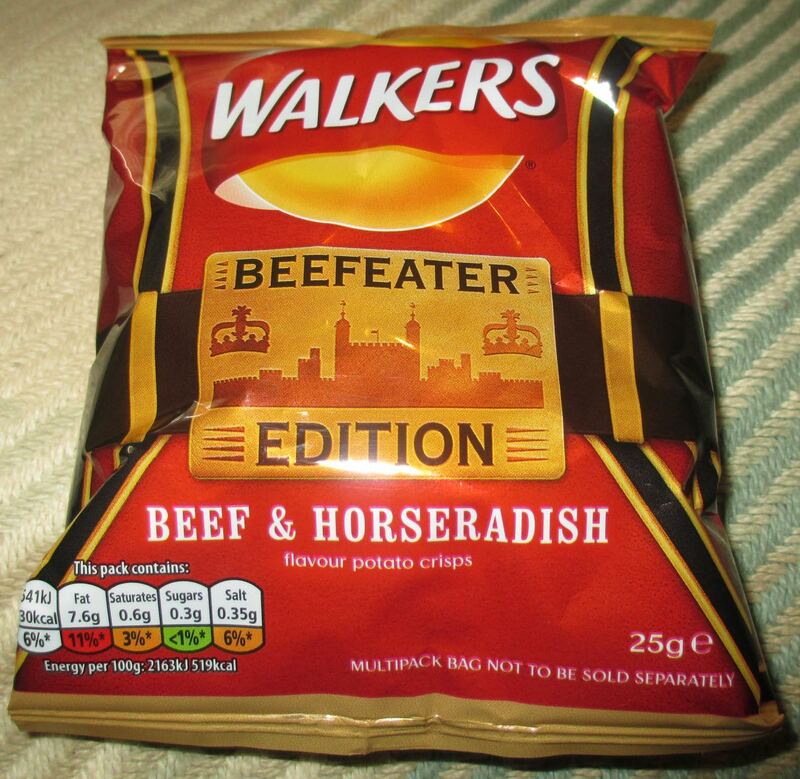 Now all I need is some Bovril flavoured crisps to add to my arsenal of favourites please … Walkers? 25g packet with 130 calories, 7.6g of fat, 0.3g of sugar and 0.35g of Salt. Please see photograph for ingredients.